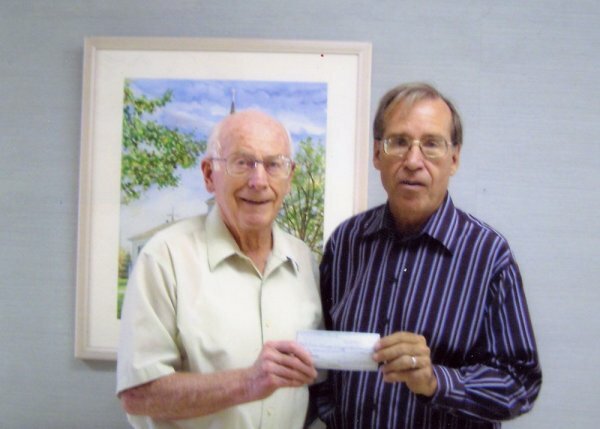 Oak Lane Nursing and Rehab received a large gift of $20,000 from the Bethel Lutheran Church of Stronghurst last week. In the words of Pastor Olsen, "The congregation is pleased to share in the assisted living project that Oak lane is planning with a monetary gift ($20,000). "Oak Lane is a valuable asset to our community and we wish to be involved in a real way in helping to make this project happen. We trust that others will also seek to help make this project a success." Administrator, Richard W. Clifton, stated that this gift came as a surprise to he and the Board of Directors and that it was not solicited and that is what was so completely inspiring. "The congregation of the Stronghurst Bethel Lutheran Church has truly proven that charity does indeed begin at home," Clifton stated. Clifton, employees and the Board of Directors are truly grateful for this gift to the continuation of adult health care planned by Oak Lane.